Find a new Chrysler Pacifica at your local Anchorage, AK Chrysler dealership. View NEW Chrysler Pacifica Inventory	Looking for a USED Chrysler Pacifica? 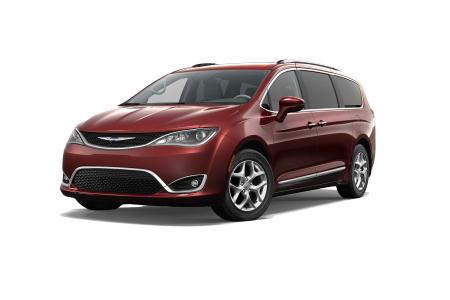 Overview Manage the family transportation in style in a Chrysler Pacifica minivan, available now at Anchorage Chrysler Dodge Jeep Ram in Anchorage, Alaska. The Chrysler Pacifica is modern yet practical, featuring plenty of room for the whole family and belongings. With convenient interior storage, a roomy third row, and a comfortable ride, the Chrysler Pacifica is perfect for long trips or driving the team to practice. Visit our Anchorage, AK Chrysler dealership today for an exciting test drive. Why Us? At Anchorage Chrysler Dodge Jeep Ram, our long standing community relationships pave the way for finding the right vehicle at a price that you feel comfortable with. Our friendly vehicle sales specialists will help you navigate our extensive Chrysler inventory in a hassle-free, no-pressure environment, so you can find the exact car or minivan that works for you. Turn to our auto financing specialists when it comes time to finding an auto loan or car lease that suits your budget. Contact us today to schedule a test drive in a smart, spacious Chrysler Pacifica. We look forward to meeting you! Anchorage Chrysler Dodge Jeep Ram has the trained technicians and genuine Mopar auto parts at the ready to keep your Chrysler van running its best in every season. When it comes time for your next service appointment, trust our certified car mechanics for everything from fluid flushes and tire rotations to more serious transmission and body work. Convenient amenities such as early-bird drop off, Saturday service, and free WiFi make your experience a breeze. Make an appointment at our Anchorage, AK, service center or pull into our Express Lane for an oil change today.